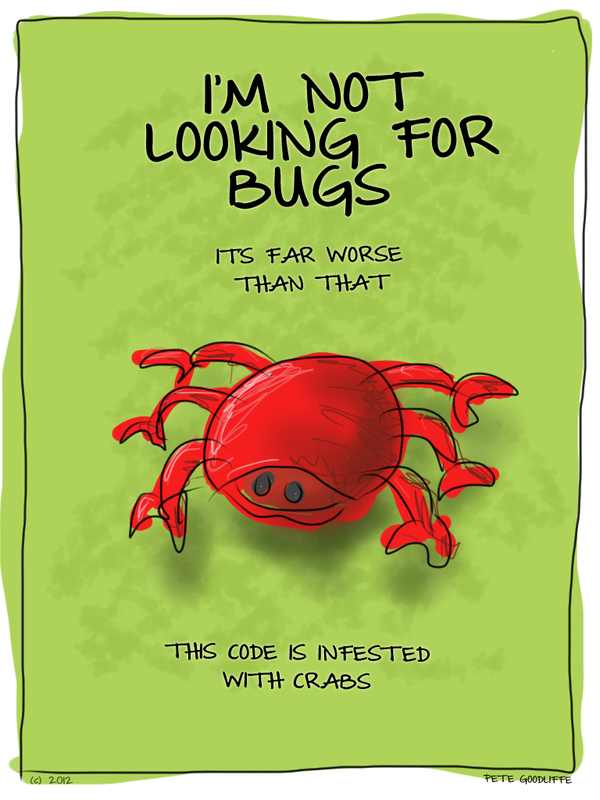 I've been doodling wee cartoons on various coding topics for some time now. They've become pretty popular. Indeed, one of my Becoming a Better Programmer magazine columns was full of them. I have set up a Tumblr blog for them. Feel free to stroll through the archives at petegoodliffe.tumblr.com.